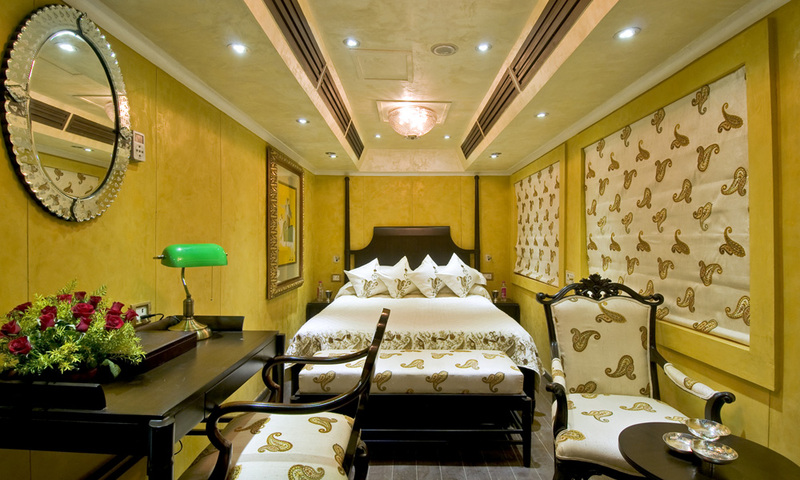 The super deluxe suites are contained in 1 super deluxe coach named the Taj Mahal. 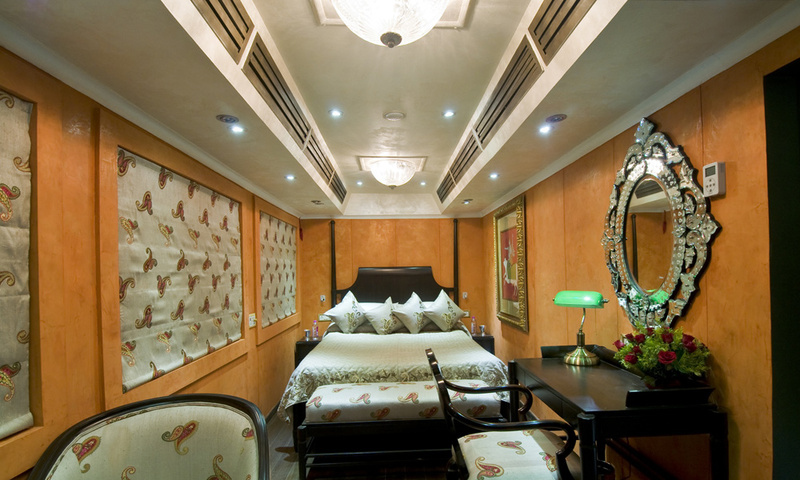 The coach has 2 suites named Emerald and Diamond, each with queen size double beds. The furnishings are richly royal, reminescent of royal décor of the princes and the ambience resembles that of the bedroom and living rooms of royal princes with carved period furniture pieces such as the writing desk and chairs. Guests who select super deluxe suites are eligible for an exclusive air conditioned car for their sight-seeing trips. Guests are received by their personal attendant who transfers their baggage to the suite and is always on call throughout the delightful journey. Each suite has its individually controllable air conditioning, attached bath and toilet with shower and hot/cold water facility.